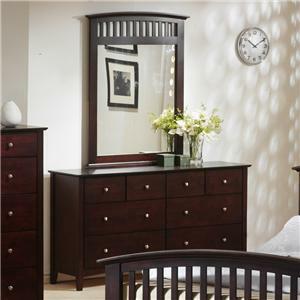 Usher a lovely touch into your youth's bedroom with this attractive drawer dresser and mirror set. The piece carries a crisp white finish and features classic details like flared posts, simple curved molding and silver metal knobs. In addition, the seven drawers are wonderful for keeping sweaters, jeans, blankets, bedsheets, towels and books. Meanwhile, the matching mirror comes with a nice arch for a sense of balance to the overall look. 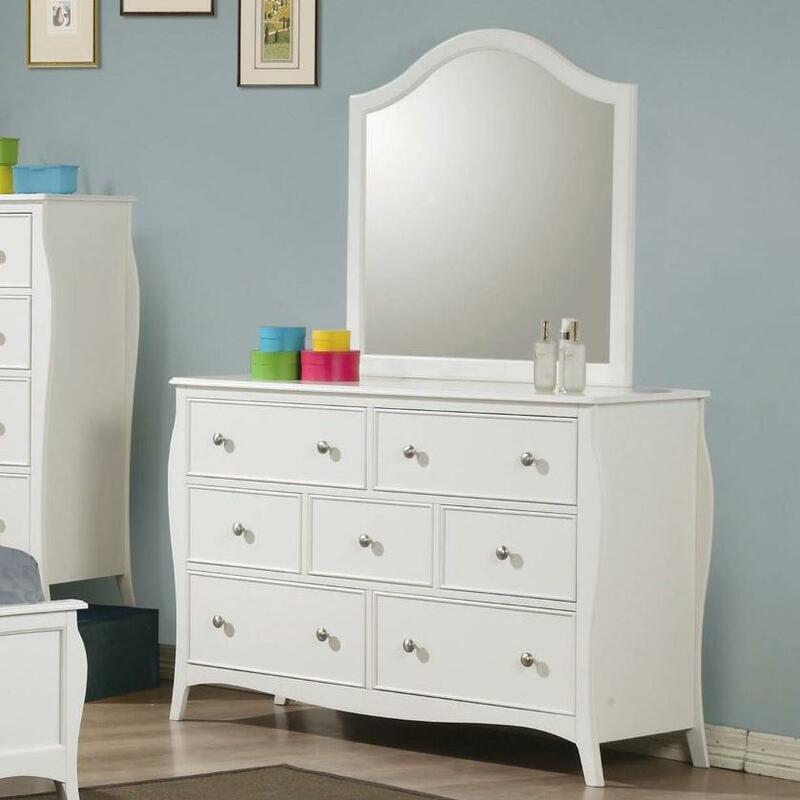 Make your youthful bedroom complete with this drawer dresser and mirror set. 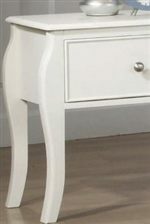 The Dominique Drawer Dresser with Mirror by Coaster at Northeast Factory Direct in the Cleveland, Eastlake, Westlake, Mentor, Medina, Macedonia, Ohio area. Product availability may vary. Contact us for the most current availability on this product. The Dominique collection is a great option if you are looking for Casual furniture in the Cleveland, Eastlake, Westlake, Mentor, Medina, Macedonia, Ohio area. 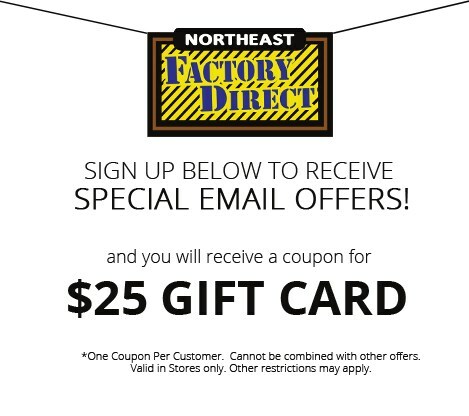 Browse other items in the Dominique collection from Northeast Factory Direct in the Cleveland, Eastlake, Westlake, Mentor, Medina, Macedonia, Ohio area.